Talk to any worker in the public sector and there is a good chance they will say they face never-ending change. But an analysis of Queen’s Speeches showed that many of the same issues keep coming up. Sometimes it is only when looking across many decades that very large shifts in policy become apparent, such as changes to the way services are provided by the state. The tendency is for constant small-scale change but overall stability in the short term, coupled with large, unpredictable shifts in the long-term. This can also be seen in another environment: the natural world. Can we learn lessons from Darwin’s theory of evolution to improve how we develop public policy? Take mutation as a starting point. Living organisms do not reproduce perfectly but vary in unpredictable ways. Similarly, public policy and its implementation never remain static. There is a constant swirl of new priorities, management approaches and technologies, meaning that outcomes vary. Each person implementing a policy will affect it by their personal approach (what Lipsky calls the power of “street-level bureaucrats”). In animals, which of the changes survive and are passed on depends on how far the mutation helps the bearer survive and reproduce. If the environment doesn’t change radically then the most likely mutations to survive are minor improvements on the existing situation. This explains the fact that the overall natural system tends to stay fairly stable despite all the mutation going on. Similarly, in government small changes that incrementally build on the status quo are the most likely to succeed and be built on in turn. Which mutations last also depends on how different organisms interact. If a new bacteria weakens gazelles, lions will be able to catch more prey, so the lions will become stronger and breed more. Complex system interactions are the norm in public policy as well. Decisions made by ministers and civil servants do not always lead to predictable outcomes. Instead, those decisions interact with choices made by others - for example, businesses and local government in a complex way. In addition, one of the key tenets of evolutionary theory is how species compete for survival. It is often argued that competition is absent in the public sector. However, public servants experience something very different: constant competition - for status, budgets, and interesting work. Unsurprisingly, the longterm consequences of all this mutation, competition and natural selection rarely follow a straight or predictable course. It is more common for an accumulation of changes, small in themselves, to lurch into paradigm shift (perhaps the extinction of a whole species). Similarly, the speed and exact direction of long-term policy developments are neither constant nor predictable. The evolution of the European Union since 1957 has happened in bursts of change, for example. Major developments are very hard to predict because they are the outcome of negotiation and competition between countries and the European institutions, all buffeted by external events. Evolutionary biologists coined the term “punctuated equilibrium” to describe this pattern of unpredictable bursts of change and subsequent research by Baumgartner and Jones and others has applied the same models to public policy. If there is value in this comparison between the natural world and the policy one, what does that mean for our policy making practice? Organisms that reproduce fast and rapidly eliminate unhelpful mutations are best at succeeding in changing environments. The continual rapid changes to the influenza virus are what make it such a formidable opponent. To improve policy development, we need to make it quick to get a new policy into implementation but equally quick to kill it off if not successful. Small experiments that can be scaled up and down rapidly are the best way to replicate this behaviour. A good example of experimentation is the series of pilots as part of the Ministry of Justice’s Transforming Rehabilitation programme, which looked at new payment methods for reducing re-offending. Some demonstrated results worth scaling up because they showed a significant fall in reconviction rates against a comparable group. Others demonstrated that ideas were not worth pursuing: offering additional money to providers of employment support, under the Work Programme, would not significantly prevent reoffending because there were too few prison leavers joining the programme. A larger version of the experimental approach can be seen in the “What Works” movement. For example, the Education Endowment Foundation is involving more than two-thousand schools in over seventy controlled trials that test alternative ways of increasing the educational performance of disadvantaged students. Results are published and head teachers can use them to decide where to invest Pupil Premium funding. In the private sector, competition, entrepreneurship and take-overs force the pace of change. However, many public service markets feature long-term contracts and high barriers to entry. Such an environment suits incumbents, and does not encourage experimentation. Despite this, it’s possible to create a broad and flexible supply chain. A key part of the Transforming Rehabilitation programme, for instance, is to make sure that smaller voluntary sector organisations are equipped to participate, and that there is a diverse and competitive market. Another approach would be to lower the barriers to introducing small, innovative policies. There are clear processes through which any policy has to go, but could more approval processes be subject to thresholds, enabling small experiments to be launched more quickly? Any failures could be nipped in the bud by applying strict time limits to these projects. Communicating that some policies are pilots and are expected to fail could help manage the expectations of stakeholders. By presenting a series of experiments under an overall ‘brand’, success is tied to the brand rather than individual components. The Innovation Fund led by NESTA in partnership with the Cabinet Office works along these lines. Government departments could put teams together specifically to launch and then kill off experiments without developing an institutional interest. And while the legislative process is (for good reasons) time-consuming and pushes government towards specifying detailed plans early on, there is scope for speeding things up. The Welfare Reform Act 2012 created a power to allow small experiments in benefit rules. This opens the door to more rapid experimentation, and is an approach that could be used more widely. Above all, policy makers need to view the public policy environment as a complex and shifting ecosystem and let this guide their approach. The technology industry uses ‘Agile’ techniques, characterised by rapid rollout of rough prototypes and constant feedback from users. The Government Digital Service and others are already using Agile techniques in a government context. Invariably, boundaries and roles will shift as policies develop. So incentives for the system as a whole need to work however individual parts develop. In education, for example, there are clear incentives set by the funding and inspection regime, which push the overall system in the desired direction. This is regardless of the different models of schools and their relationships with the Department for Education or their local authorities. However, this approach must be supported by transparency about performance. Doesn't this just push policy development to a R-selected strategy rather than a K-selected strategy? In so doing promoting short-termism? Additionally, the tragedy of the commons as played out with the gazelles and the lions would ultimately lead to a new equilibrim as Malthusian Economics will kick in, the Lions will eat too many gazelles, the gazelle population will crash, only those resistant to the bacteria and able to get past the lions will breed, the lion population will crash (less gazelles) and so the "circle of life" continues. - The environmental pressures that push the evolution have to match the thing you want to improve. So, if your performance targets for schools don't actually correspond to a more productive/happier populace, then that isn't what evolution will drive towards. Arguments based on evolution in classical economics often neglect problems with this misalignment in reality. - The punctuated equilibria you describe can (according to some models of evolution) come from the evolution itself, rather than being responses to sudden changes in the environment. You allude to this. I believe there is a lot of evidence in Social Science that suggests dramatic changes tend to affect people's happiness, while steady progress has no effect. This is fine if the dramatic change hits everyone in a positive way. But, if there are negative effects, then they hurt people in a way that the long run net progress might not compensate for. But, despite these cautions. The prospect of policy development as iterating lots of small trials, is very welcome, as would be a shift towards evolution in its balance with design in policy creation. Paul W: A very interesting retort. But, I do wonder whether the metaphor of animal evolution breaks down at this point. Stephen's mention of scalability suggests to me that we would be adopting an r-selection strategy initially, and then investing more resources in policies that were successful on a small scale. Animals tend not to have the choice of switching between r- and K-. - which policies are scalable? - how much greater, than the cost of implementing one policy nationally, is the combined cost of implementing many policies on a sub-national level? Systems Thinking using Causal Loop Diagrams works well for policy design by identifying the reinforcing cycles. See the Science and Innovation map at the website below. These can build to quantitative System Dynamics models with feedback loops - wolves and moose can be reopresented in similar terms to gazelles and lions. Excellent article, Stephen, with wide applicability. Organisations steeped in the culture of "One Size Fits All", and lengthy periods of No Change followed by occasional Massive (usually botched) Change are almost invariably serial under-performers. - On the issue of r vs K selection, you could characterise my view as being that policy-making currently tends to be extremely far up to the K end of the spectrum, and in some circumstances we would be well advised to introduce more of the elements of r selection (e.g. trying lots of things quickly and expecting a good proportion to fail). One of the main reasons that species may adopt an r strategy is an environment of uncertainty and rapid change: which clearly characterises many public policy challenges. - I agree that the punctuated equilibrium dynamic has a potential cost in terms of well-being or happiness. My point is that this model of change is a fact of life, and we are better off recognising it and developing strategies to cope rather than hoping we can somehow get to a position of steady linear progress. And don't forget to cast an eye on the techniques of Red Teaming, popular in US business and commerce, but not really taken up within the UK Civil Service policy-making sectors. There are a good number of policies that might not have been so clunky had they been red-teamed at the start of the policy formulation process. This article was very interesting. I personally found the comparison between biological process and the evolutions of policy rather compelling as an analogy. However, I would urge caution in pushing this comparison too far in the extreme. Furthermore, I would also urge extreme caution in any government department or policy group getting to involved with the Agile techniques as mentioned above. Agile is a system which works for the technology industry as it makes use of the immediate ideas of their experts in the absence of what end product should and must be delivered. In the Government context an end product is always known and what it must and should provide is also apparent - this is abundantly clear from the buisiness case to call the project or programme into fruition- in this instance flexibility in delivery is needed but most certainly not an Agile approach. From my own and others experience where an Agile approach is used by the Government or similar, it results in the prevention of a robust structured delivery, rolling of end dates and severe lack of contingency planning. In all though I think it is important to think of change within the Government as a whole as an evolution, it is a large multifaceted beast and changes incrimentally over time. Yes, we must make concerted efforts to adapt to changes to the environment but not to the detriment of the core purpose of business continuity... or preventing the government from extinction if you will. Interesting article. However getting individuals to make decisions particularly on changing Policy in my experience (46 years in CS) will still be a barrier. There are too many management layers and not enough inspirational people ready to take risks . In answer to the question posed in the title, I would be very pleased with myself if any policy that I had a hand in could come close to resembling the dodo in one important and elusive aspect. 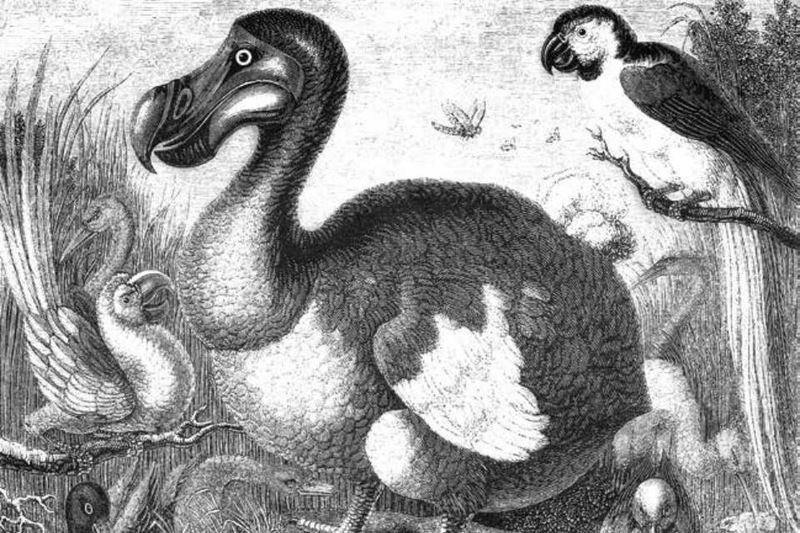 The poor old dodo is so often trotted out as the pre-eminent example of what becomes of those individuals, entities or notions that gets left behind or fails to adapt to changed circumstances, and to which singular failure we feel it necessary to add such special emphasis and/or smug ridicule to. However it may be worth pausing to consider, for how many eons that bird existed in harmony with its natural environment until the appearance on the scene of ourselves as catastrophic game-changers and consummate spoilers and meddlers that the hapless dodo was completely unequal to, and so brought about not only its abrupt demise but that of so many others since. In this light it is quite unfair that it has become the comical emblem of all that finds itself suddenly redundant and bereft of respect. In actual fact I wonder if any policy we have introduced has achieved such longevity or indeed ever could? My money’s on the dodo.